It was Thursday, October 19, and Ben and Jesse, founders of Hubble Contacts, had just come off their weekly call with Tatari. They had been running TV advertising since spring that year, and that day presented a defining moment: Tatari had recommended that Hubble Contacts purchase spots on the World Series. The Astros were playing the Dodgers in the first game the following week, on Tuesday, October 24. With each spot commanding a near 6-digit-dollar figure, this would be the biggest and ballsiest play yet for Hubble. Ben and Jesse were no strangers to taking big bets with Hubble Contacts. The company had grown from nothing to a leading brand in contact lenses in merely 1.5 years. Their clever product positioning—daily contacts of high quality offered in a convenient subscription—combined with smart pricing (half what others would charge) had even caught the envy of big players. If that wasn’t enough, Hubble Contacts had also developed a highly efficient customer acquisition strategy across many platforms, with television (under Tatari) as one of them. Ben and Jesse were also accustomed to advertising during MLB games. Buying into the Word Series had been in the works for months, and now was the time to review the numbers with Tatari one last time. Failure would be a massive—and massively expensive—miss for Hubble Contacts. Should they swing for the fences or not? The above is a real story, and applicable to many Tatari clients. The goal of this article is to illustrate how Tatari scales its clients, leveraging data and analytics in both measurement and media-buying. Hubble’s foray into baseball was a gradual buildup, which started as early as April 2017 with relatively cheap airings on DISH college baseball games and YES Network (Yankees). Baseball as a sports genre was not a slam dunk for Hubble: results were initially mixed. 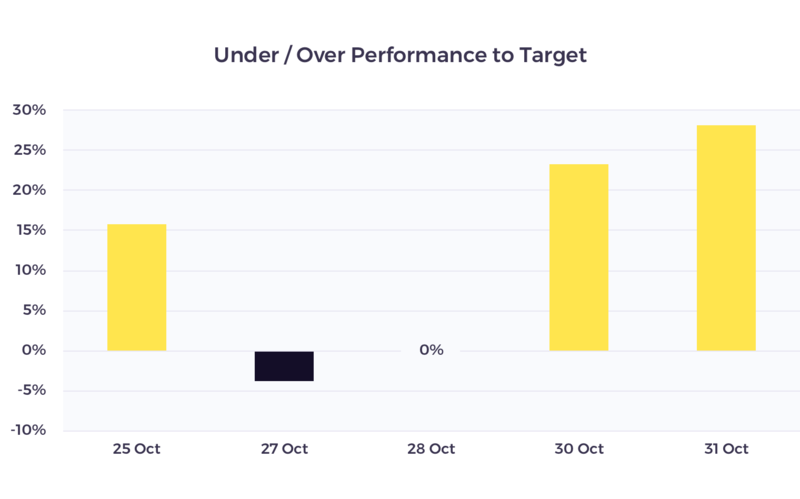 The chart below shows daily results for both campaigns, as a percentage deviation from Hubble Contacts CPV (cost per visitor) target, where yellow bars denote out-performance and black bars denote under-performance compared to target. Encouraged by the pockets of performance, Hubble subsequently waged more money on MLB. With the playoffs heating up, and under Tatari’s guidance, Hubble tested the MLB playoffs, first on DISH (with spot costs less than $5,000) and subsequently on FS1 (with spots now easily exceeding $10,000 per airing). Additionally, Hubble Contacts had its creative highly optimized—out of a dozen variations—in earlier testing. 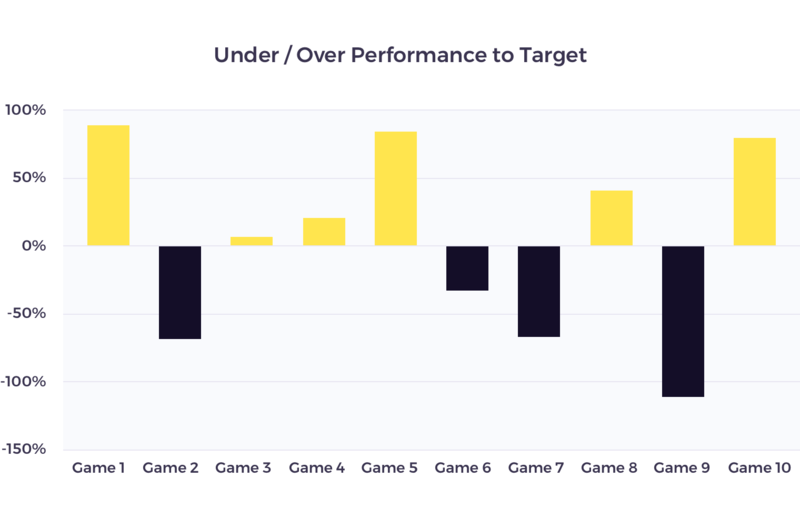 These spots had stellar results: MLB consistently beat targeted performance. Step 1: Tatari calibrated the network-provided CPM. The prior ALCS airings allowed us to compare network-projected impressions on FS1 against the actual real impressions (measured across 22 million set top boxes), and applied that adjustment to the World Series-quoted CPM. Step 2: We accounted for the demographics shift in viewership, as the World Series draws a different audience mix. Step 3: We then calculated the maximum affordable bid price, using the above calibrated CPM, as well as historical baseball response and conversion data. 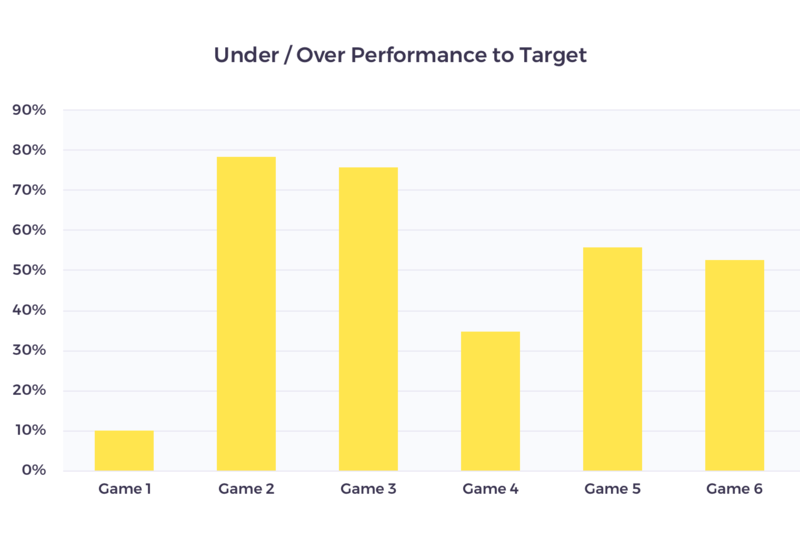 The acceptable spot price, derived from the above analysis, made a strong case for “floater airings”—filler airings should the game run long owing to pitching changes and extra innings. Tatari recommended pouncing. Ben and Jesse decided and committed to the buys. They joined their friends at the Hibernia Bar, a sports bar in midtown NYC, the following week. Ben and Jesse didn’t reveal their media buys to their friends, and started watching, anticipating their time. The Astro - Dodgers playoffs were a thriller, decided in seven games with extra innings and many pitchers. The floater spots were repeatedly aired, as well as during the most exciting parts of the game, when people were glued to the screen more than at any other time. The performance was again stellar, and for days and weeks to come, Hubble business reaped the rewards. Ironically, the party didn’t stop there. People liked the Hubble ads, their authenticity, and differentiation from the usual big-budget brand advertisers. Long after the airings, Hubble was still buzzing in social media, as can be seen from Mindy Kaling's tweet to her 12M+ followers on Twitter. Take a glass-half-full attitude or build on the positive elements. Look for a few airings that work, and use them for building a scaling plan. Don’t expect everything to work at once: instead, find courage in the few pockets of performance. Redo the math continuously and adjust bid pricing accordingly. Opportunities come around not just because the pricing is favorable, but because a better creative or adjusted impressions (as was the case for Hubble) can be enough to tip it over. Recognize that TV is more than just direct response. Big airings enjoy a stronger delayed response and halo effect.